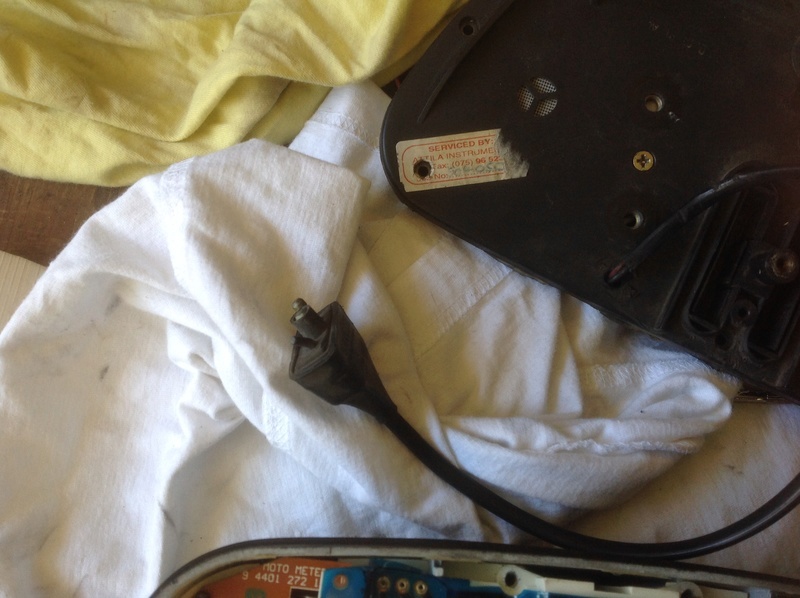 The instrument panel has to come to pieces. If you search on 'cog' in the forum, there's been a few posts on just that problem. If you look in the "how To" section of the Forum in downloads, there are 2 detailed posts, one in particular has step by step instructions and photos. 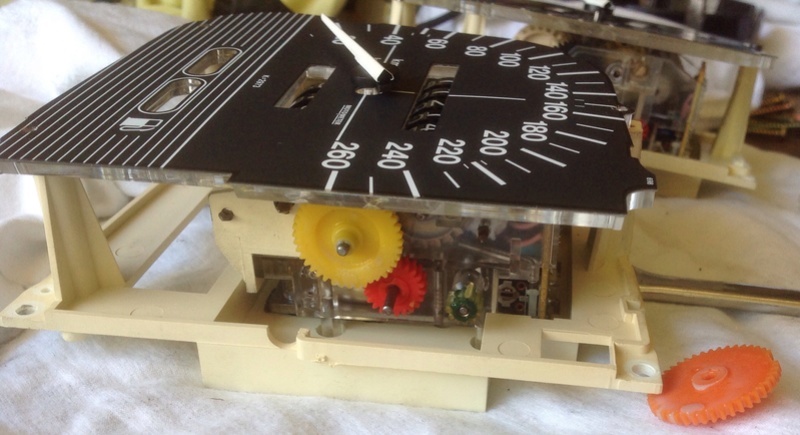 I remember the first step after getting the speedo off the frame is removing the little knob that resets the mileage. It just pulls out, has to be done before the case can be opened. Good luck. (put a big plastic bag over everything, there are springs and small things). 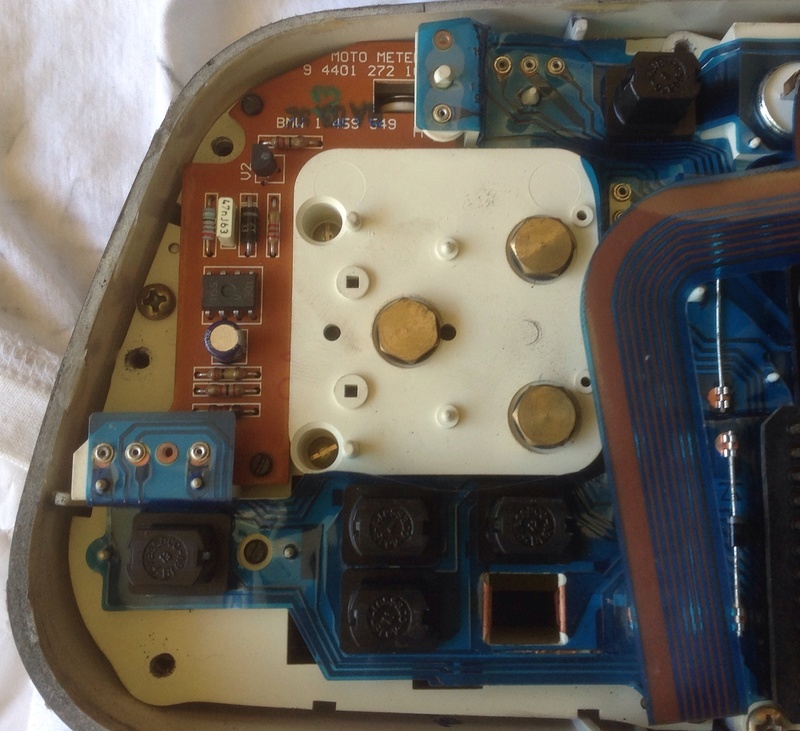 ok I purchased a K1100 police inst cluster from Floyd, it needs the cog that wears out but the dash is in very very good nick, I knew this when I bought it, very good price. 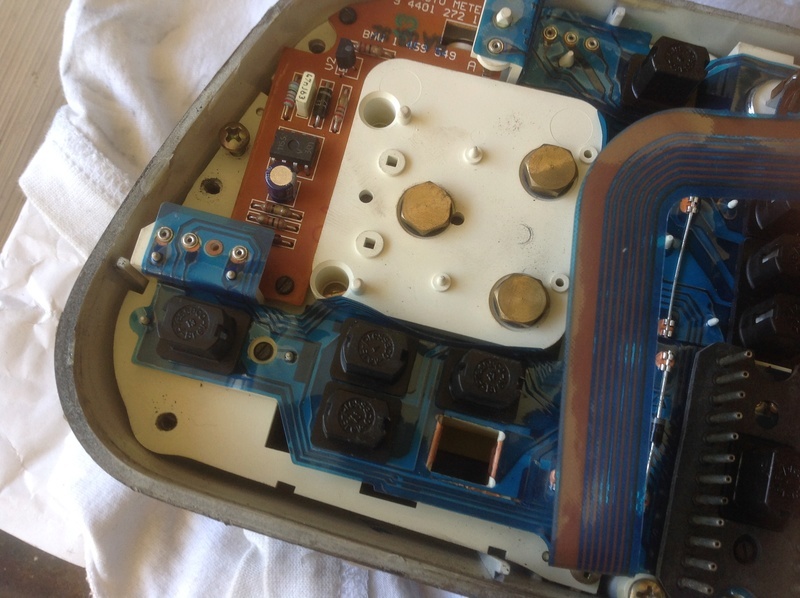 My speedo stopped working a few months ago which was hard to tell as when the bike is in the sun you can't see much due to the crazing and cracks have not known the time for a few years cause you can't see the clock. It is the original dash and the bike had a minor accident before I bought it so there are a few scrapes and scratches, the dash has a few deep marks. So which dash to fix? Or which shiney bits to use. 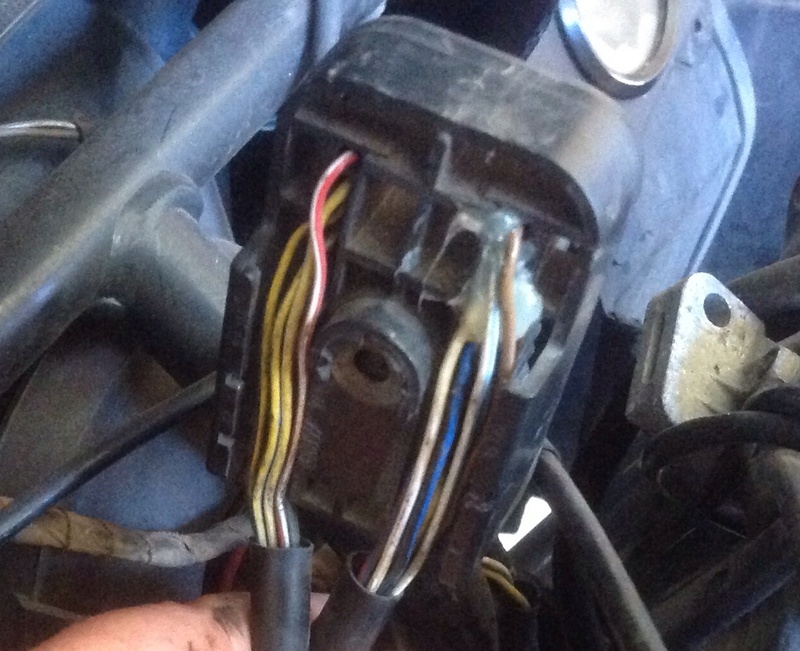 After my dash was disassembled the choice is easy, I will use the police dash, as mine is a mess, 3 cogs stripped an aftermarket wire with bulb inside the oil light indicator, oh and this wire is not connected to anything on the bike. Gary, having repaired a few of these things consider the following. The smallest cog can be bought in a cluster packet from Jaycar, about $8 for the lot, but the smallest cog is the only one that can be used. The rest of the cogs are about $25 each plus about the same in postage. They all go brittle/melt in time because our climate... if it feels waxy or brittle, replace it. Once all have been replaced they should give you 25/30 years service. Yes the rest of the cogs in the police dash look in good condition and clean, I have ordered the cog from Sydney for $35 inc post. Now looking at the dash it has less numbers so they are a lot easier to read, sounds good to me. The police were limited to 220km/h so I could leave them behind cause my speedo says I can do 260km/h. 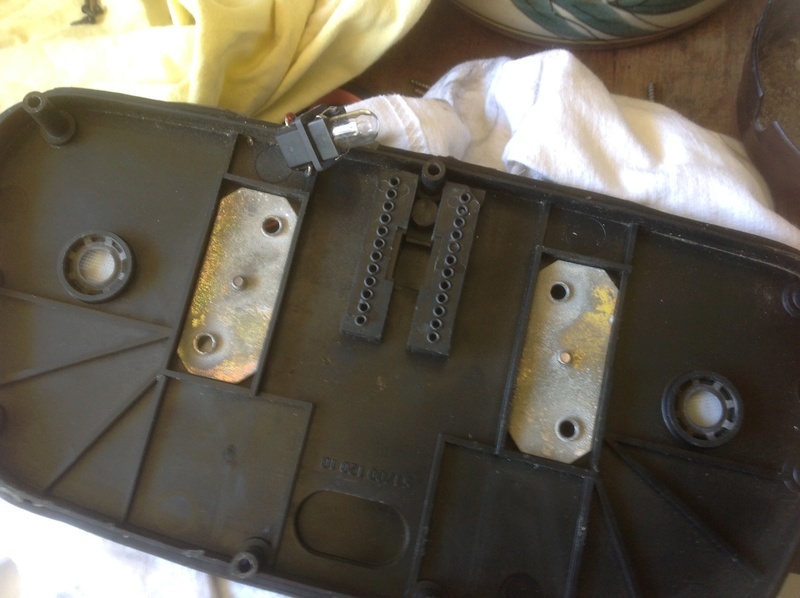 I missed taking a photo before I removed the dash,but there was the original connector plug (with silicone on it) and a double wire coming from a hole drilled in the back of the dash, I traced this wire back it goes for about 30cm then stops,no matching plug that I can find. 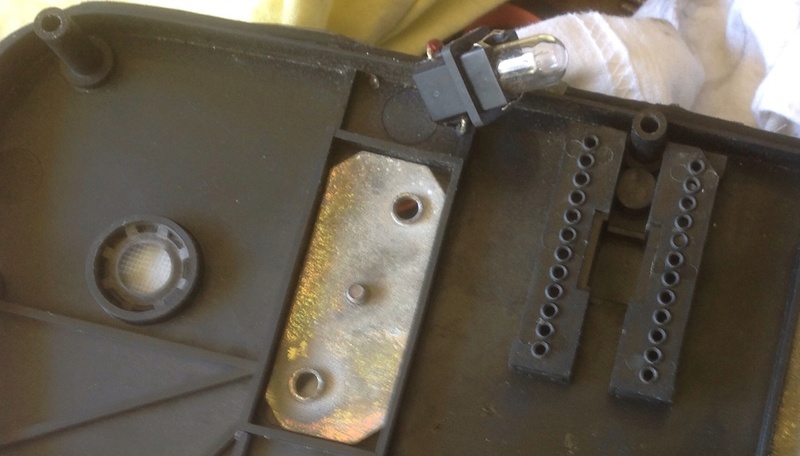 But when you pull the back of the dash it unplugs the bulb from 2nd spot down from the oilcan on the taco face, as the bulb and wire are short it would be fiddly to put back in. There are pics above of this bulb and lead. I think the bike used to have an alarm fitted. @Garyk100 wrote: The police were limited to 220km/h so I could leave them behind cause my speedo says I can do 260km/h. Let us know when and where you do it. We won't even quibble about indicated vs actual (GPS) speed. 2. Someone tried to reinstate the fast idle warning light that was deleted from the later models. My guess is (1), but either way, it isn't needed. I suppose you could get it from the US..via the link from Richard's website or maybe try Otto Instruments in Brisbane. Last time I had dealings with them they wanted all the instruments together back in the case and sent to them. Yes tryed otto "he only repairs" found this on a BMW e30 forum, they are located on the Southside of Brisbane. They knew of the cog and were out of stock but I will have it here in few days I think it was $36 delivered. Thats an improvement, last time I spoke with Lionel Otto he was refusing to fix K instruments he must have relented under pressure. If it is a MPH speedo the gears could be very different and with Dai being in the occupied territory then miles are still used. @RicK G wrote: If it is a MPH speedo the gears could be very different and with Dai being in the occupied territory then miles are still used.